I Dunno!. Yeah... it's not very good but it's my first demotivational.. HD Wallpaper and background images in the Total Drama Revenge of the Island (TDROTI) club tagged: tdroti total drama revenge of the island brick i dunno. This Total Drama Revenge of the Island (TDROTI) photo might contain নকল মানুষের, কমিক বই, কমিকস, and কার্টুন. Gotta love Brick and his Brickness! lol I love Brick! 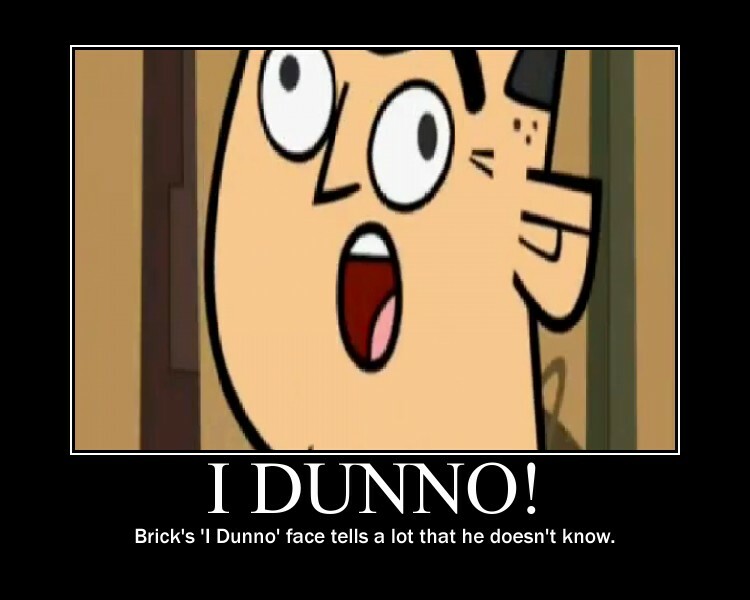 That's the best face in Total Drama history!